My sister has one of these and they are fantastic. Love the designs too. I'd love one of these, it would be handy to keep in my backpack for emergency changes! Oh I wish these were around when Dyllan was still in nappies. I took to putting a nappy in my handbag and it was a pain in the rear. I've done that before when she was in smaller sized nappies and I put them in a sandwich bag lol. Although once she got into bigger sizes that didn't work and they just got destroyed floating around in my bag. The last time I emptied out my nappy bag fully I discovered a squashed baby bar that had spread throughout the bottom of the bag and an apple that no longer resembled an apple. 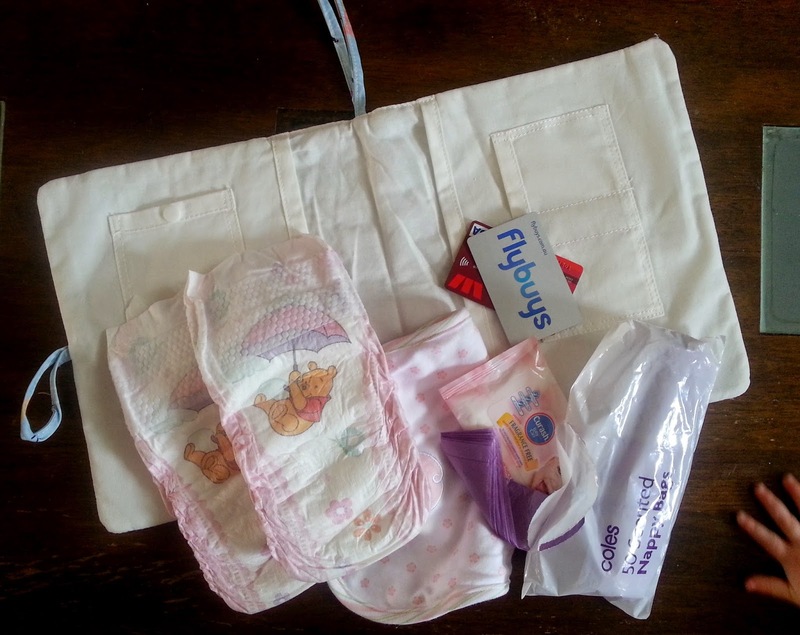 I realised that I really don't need the whole ensemble of nappy bag contents now she is older. 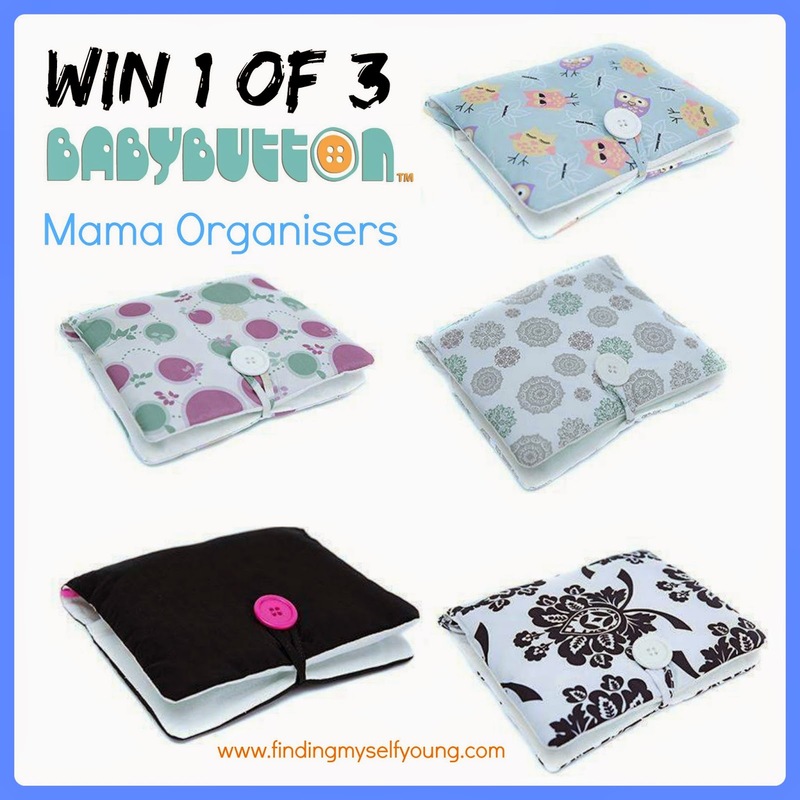 This Mama Organiser is great for the downsizer and would avoid that alien food discovery again. 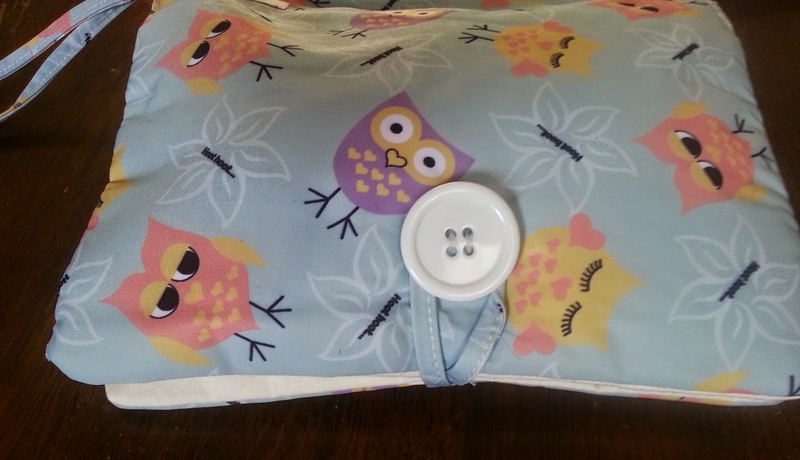 I'm always hunting for items in my oversized, over padded baby bag. 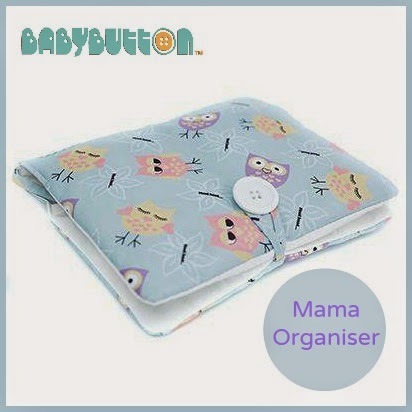 I need a bit of Mama Organisation in my life! This is a wonderful idea. 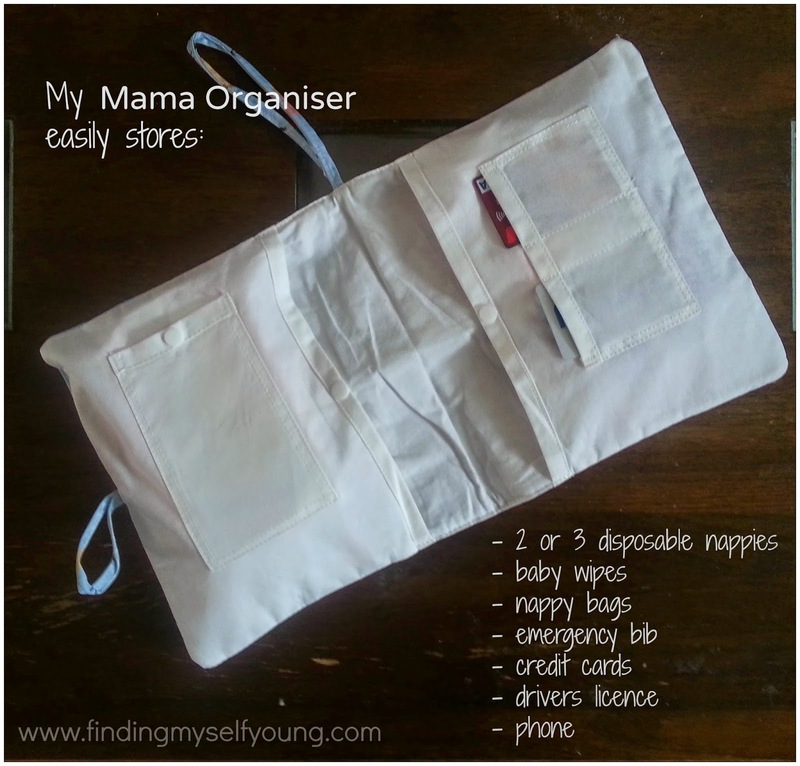 I like that you can pack up this mama organiser and transfer it to different bags or even better... to dad! I would love this for my niece who is expecting her first bub!! thanks for the chance. I have OCD (seriously) so I love to have everything organised and would love to have something small, pretty and handy like this to carry those essentials when you want to be light on load. It's always the days I forget to pack a spare change of clothes for me that my baby has a number 3... usually up to her shoulders. Last week I carried her in the Ergo (at a doctor's appointment) in just a nappy after she had made such a mess. Poor chicken. How embarrassing. I could use something to keep a change of clothes or two in. And they're very cute! I cannot BELIEVE how much it fits! I need a baby organiser so I can stop fishing random baby bits out of my handbag - I can't count how often I've gone fishing for something I need only to disrupt a bottle of baby lotion. 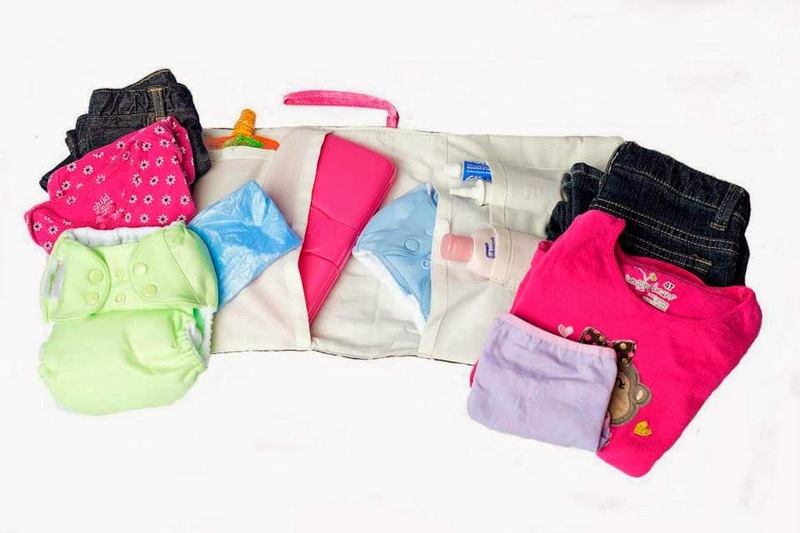 Being a Mum who is inlove with nappy bags and always swapping and changing bags, it would be good to have an organizer to be able to quickly swap between handbags. Being a mother of 4 I always have heaps of things to take with us when we go out. One of these organizers would be fantastic as I could put it in my handbag to save space and everything would be very organized. Also very handy for Daddy! Mama organiser would make my handbag look neat and less mess while keep my mind staying in the peace. Perfect hold-all when visiting family and friends. This would be great for putting the spare pull-ups in for shorter trips to the shops, restaurants etc. Desperate for help with my organisation. Everything at the ready - ELATION!! i over pack EVERY single time i leave the house, its like i have to fill the nappy bag! With this i could pack only the stuff that i really do need!